the audience will take on what is most valuable to them personally and use it to enhance their development. on many different important areas. mail outs, developing a CV and writing artist statements. It will have a short question time at the end. galleries, and a short question time at the end. • Finding the hidden pathway to success. • Working in series, exhibiting and acquiring the right gallery. • Focusing, setting goals, time management, marketing, and selling your art. • How to work with integrity within the current economic climate. 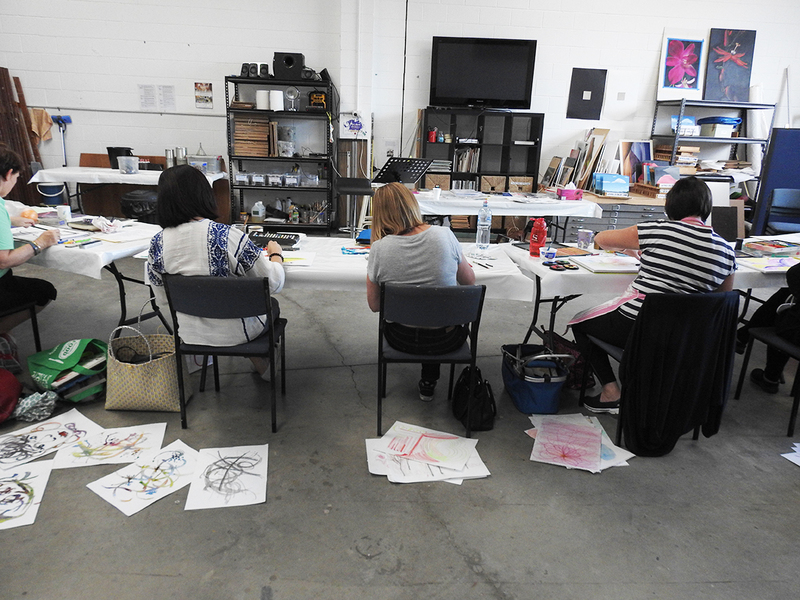 Participants in Lyne's workshops enjoying the process.